With concerto performances at the heart of her career, Nicola is in much demand with major orchestras and conductors across the globe. Conductors with whom Nicola has worked include Vladimir Ashkenazy, Jiří Bělohlávek, Stéphane Denève, Christoph Eschenbach, James Gaffigan, Hans Graf, Valery Gergiev, Alan Gilbert, Jakub Hrůša, Kirill Karabits, Andrew Litton, Kristjan Järvi, Vladimir Jurowski, Cristian Măcelaru, Zubin Mehta, Andrea Marcon, Peter Oundjian, Vasily Petrenko, Donald Runnicles, Thomas Søndergård, Krzysztof Urbanski, Juraj Valcua, Edo de Waart, Pinchas Zukerman and Jaap van Zweden. 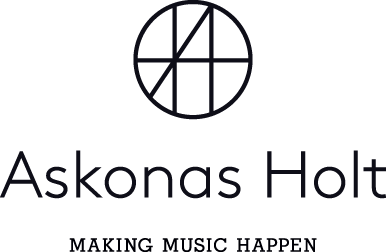 Recorded in Gothenburg April 2017 with Gothenburg Symphony and Thomas Søndergård. 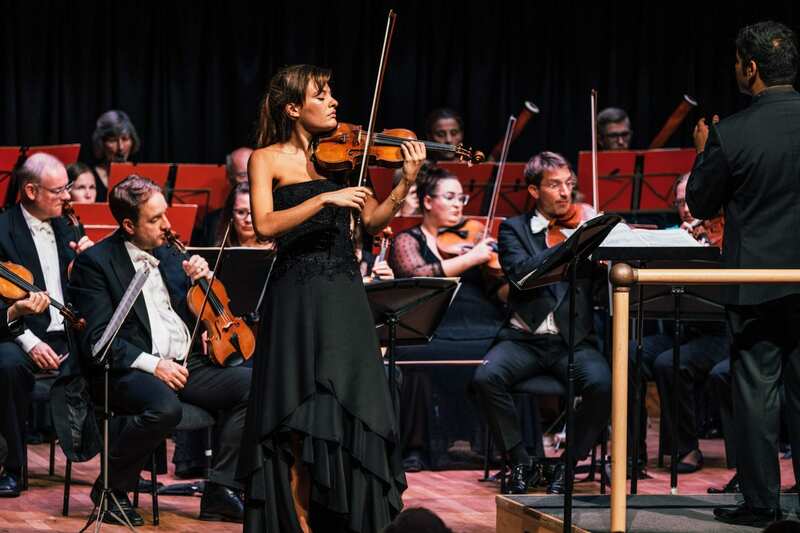 “…After the interval, the audience were treated to a nuanced, intimate performance of Mendelssohn’s Notturno from A Midsummer Night’s Dream, before the arrival on stage of Nicola Benedetti, the undoubted star of the show, for Prokofiev’s Violin Concerto No. 2. This Concerto is regarded as more conservative than Prokofiev’s first; however, it includes some of Prokofiev’s more unconventional choices, that Benedetti illuminated beautifully throughout. Alone for the Concerto’s very first phrase, Benedetti drew out the hope lurking within the melancholy folk-like line. When the orchestra entered the fray, at first it was with a minimum of colour from the strings of the Bristol Ensemble. The mood gradually brightened, anticipating the second theme, seemingly aiming for a simpler means of expression. The virtuosic Benedetti developed these dual motifs with their diverse harmonic and rhythmic flights throughout the first movement. The sensually warm tone of her violin somehow soared above the Bristol Ensamble’s orchestral massed ranks without ever losing the strong sense of connection between soloist and orchestra. After the much-admired Andante assai, Benedetti cut loose in the concerto’s vivid finale. A dance in accented triple time, sprinkled with displaced beats. 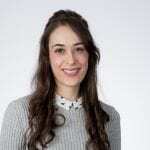 She didn’t shy away from the menacing mood that emerged and during the dramatic coda Benedetti rose to the heights of virtuosity, demonstrating why her name on a programme is a guarantee of a sold-out show and an evening to remember. 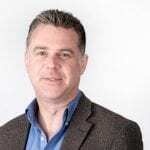 “With due respect to Simon Rattle et al, I will be amazed if the music programme at this year’s Edinburgh International Festival produces anything more electrifying than the first piece played on the first morning. Normally I go into a coma when I see the word Vivaldi on a programme, and full rigor mortis if Telemann follows — but Nicola Benedetti is on such sensational form at present that she could play the Midlothian Yellow Pages and still mesmerise a crowd. “On paper the prospect of hearing 22 of Britain’s finest instrumentalists in the same concert looked enticing. In reality, I almost lost the will to live. Yes, the BBC Young Musician competition is 40 years old and worth celebrating, but the shameless glorification of the BBC inherent in Clemency Burton-Hill’s onstage presentation and in the banal interviews she extracted out of the 22 past winners or finalists was not just irritating, but ruinous to the concert’s flow. Just over 100 minutes of music was stretched to almost three hours. “In a programme mounting two of Dmitri Shostakovich’s most personal of works, it is hardly surprising that each piece contained a wealth of the DSCH motif – the composer’s musical monogram. Yet given the presence of Nicola Benedetti and Gianandrea Noseda, if one entered the Barbican tonight only expecting a musical portrait of the Soviet composer, one would have left with a pleasant surprise. “In this belated celebration of Telemann following the 250th-anniversary of his death last year, Nicola Benedetti joined the Academy of Ancient Music to demonstrate the cosmopolitan character of his music through juxtaposition with his most prominent Italian contemporary. Telemann’s first appearance here was reserved until the end of the first half, with one of his rare Concertos in an Italianate three-movement form, rather than the Germanic four-movement structure he usually favoured. In the descriptive ‘Frogs’ Concerto, he uses the violin in a notably un-virtuosic fashion, by having its first entry imitate a frog with the use of bariolage (the rapid alternation of the same note between fingered and open strings) just as Haydn would employ in his String Quartet Opus 50/6. Despite that, this Concerto is particularly Vivaldian in terms of its defined, melodic ritornellos with suspensions, and a less intricately Germanic harmonic progression. Benedetti subsumed her playing within the overall good humour of the work, ending in the purposeful stride of the Minuet Finale. “It was already set to be remembered as one of the highlights of the classical music year — but now the newly launched Chiltern Arts Festival is returning for an encore. 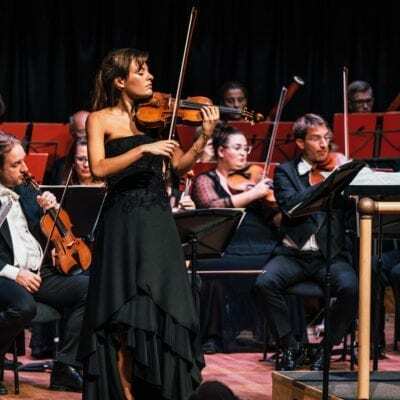 On Wednesday (May 30), star violinist Nicola Benedetti will join the festival’s orchestra in residence, the Academy of Ancient Music, for a concert at Dorchester Abbey. A past winner of the BBC Young Musician of the Year competition, Benedetti’s ability to captivate audiences with her innate musicianship and dynamic presence has made her one of the most sought-after violinists of her generation and one of the most influential classical artists of today. “With lean, athletic orchestral partners, it allowed Benedetti to explore a wide range of dynamic gradations between mezzo-piano and pianissimo, which she did with great sensitivity along with an impeccable trill. 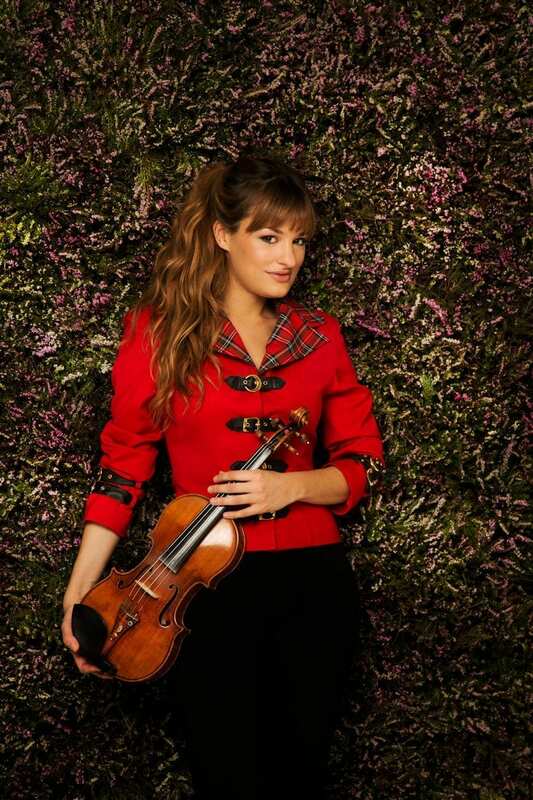 “Having Nicola Benedetti’s performance of the Brahms Violin Concerto before the interval – and not ending the concert – was brave as she left the packed St. John’s with her searing performance in all our minds throughout the second half. It was interesting to see how involved she was in the music even when she was not playing, even appearing to seem to add to Elschenbroich’s encouragement of this players with slight shrugs of her shoulders. Watching Benedetti close to, clearly her technique is so secure that it provides an always reliable base on which to develop her interpretations. As much as is possible – for a concerto which has such an emotionally broad palette – Benedetti made it look and sound easy, but, of course, it really is not. Ever the alert accompanists, Elschenbroich and the understated LMP eloquently introduced the musical themes of the Allegro before Benedetti entered with a ferocious zeal creating a burnish tone with just a hint of grit. Neither the complexity of all this movement’s passage work nor its Joachim cadenza held any fears for her. The tone from Benedetti’s 1717 Stradivarius continued to shimmer on high and sizzle as the line sloped downward, and this gave an appropriately romantic expressivity to the Adagio. It had begun with Gareth Hulse’s sensitively delivered oboe solo and subsequently the violin seemed to flirt with LMP’s oboe, as well as, flutes and horn during this long, warm second movement. “Thursday night, in the middle of Nicola Benedetti’s playing a cadenza in a violin concerto with the Philadelphia Orchestra, a man walked through the ensemble to a spot just inches from the violinist and started playing drums. The man was percussionist Christopher Deviney, and, needless to say, the concerto was not the Brahms, Beethoven, or Sibelius. Wynton Marsalis’ Violin Concerto in D Major, receiving its first Philadelphia Orchestra performance with these concerts, comes with a lot of bells and whistles (literally and figuratively), like orchestra musicians stomping their feet and clapping. Benedetti negotiated the stream of variegated material with great sensitivity to style. The music saunters and dances. A punchy circus-like atmosphere takes over for a bit, commented upon with short quips from the violin. The Blues hovers over the piece in various places. The orchestrations are some of the loveliest you’ll ever hear — and most inventive. A burlesque section has the violin soloist twisting and teasing. Brass blasts call out, and a couple of trumpets “shout” by blocking and unblocking their bells with cups. “Nicola Benedetti was the star of this show, no doubt about that. She is a Proms regular and favourite, attracting a large and enthusiastic audience, the Royal Albert Hall filled almost to capacity. And she didn’t disappoint, giving a performance of Shostakovich’s First Violin Concerto that demonstrated all her strengths: precision, focus, variety of colour and mood, but above all the passion and conviction needed to make sense of this long and emotionally complex work. “With an all Beethoven programme, the Scottish Chamber Orchestra with soloist Nicola Benedetti gave a balanced and insightful performance of three of the composer’s works on Thursday evening. “The pinnacle of the evening, however, came in the first half with Nicola Benedetti’s performance of Tchaikovsky’s Violin Concerto in D major, Op.35. My earlier misgivings on the hyperbole bestowed on Nicola Benedetti had been misplaced. This young woman not only met the expectations created by the marketing team, she exceeded them and then some with a truly mesmerising and absorbing solo performance. Her interpretation of the Tchaikovsky’s concerto, one of only three works he wrote for violin and orchestra, was nothing short of sublime. “The concerto, deemed unplayable by the violinist Leopold Auer to whom the composer initially presented it, is a technical challenge for any virtuoso. Yet Benedetti is so masterful on her instrument that the immense technique the concerto demands seemed as natural to her as breathing. But this was not a performance to marvel at her technical brilliance. It was that these demands were never the slightest distraction from her delivery of the narrative. “Vladimir Jurowski began his latest season as Principal Conductor of the London Philharmonic with a typically bold and adventurous programme. At its core were the two Szymanowski violin concertos performed by Nicola Benedetti, and these were framed by Debussy’s Prélude à l’après–midi d‘un faune and Bartók’s The Miraculous Mandarin Suite. The two concertos are stylistically distinct, the First impressionistic, the Second folk-influenced, so the pairings were apt. As ever, Jurowski delivered supple, well-crafted performances, and Benedetti shone, but the highlight of the evening was the Bartók, an orchestral showpiece delivered with consummate mastery by the London Philharmonic forces. “Szymanowski’s First Violin Concerto is the more intense and demanding of the two, but Nicola Benedetti performs it regularly and has clearly got under the music’s skin. It’s technically demanding, but the greater challenge is in the interpretation. The mood and texture seem to switch constantly, with the long, lyrical lines often cut off abruptly as the music changes direction. But Benedetti is able to make all this seem logical and coherent. She applies a rich but varied vibrato to much of the music, sometimes wide and fast, but just as often narrow and slow. The result is a tone and expression as varied as that of the orchestra beneath. She also has the sheer aural presence required to command those expansive orchestral textures, and Jurowksi, while always sympathetic, never felt the need to constrain the ensemble for her. “The Second Concerto is inspired by the folk music of the Tatra Mountains, where the composer spent his last years. The violin lines here a just as lyrical, but the structure is more straightforward and there are fewer of those unexpected changes. Again, Benedetti had the measure of the music, and this was another commanding performance. Particularly impressive was her ability to integrate the brief folk-fiddle episodes into the otherwise cosmopolitan textures – seamless integrity achieved through interpretive conviction. “The orchestra was on top form throughout both concertos. Jurowski worked hard to raise, and maintain, the intensity of sound and texture. That was particularly true of the coda following the cadenza in the First Concerto – he seemed to be worried that the tension would slacken here, but he needn’t have worried, it was as intense as ever. “In the Szymanowski that followed, this inspiration took full flight. Benedetti proved to be ideal partner in the First, finding all the elements of this structurally complex piece at her fingertips. Her playing was refined and accurate in the stratospheric passages, balanced by a gutsy earthiness when called for and supreme virtuosity in the cadenza. Most importantly she was clearly following the heartbeat of the concerto, which is a difficult and illusive work to bring off. Jurowski and the LPO were also completely in tune with Benedetti’s vision, with extraordinary playing which at no point overshadowed or swamped the soloist. 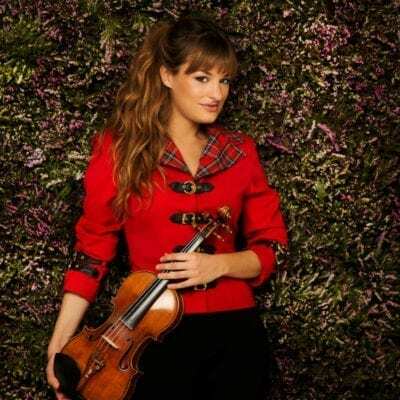 “Nicola Benedetti, refreshingly candid on matters of music and education, is also unfazed by hard graft, as demonstrated in her mastery of the Polish composer Szymanowski’s two Violin Concertos. The First was written just before the Russian Revolution (although it had to wait until 1922 for its premiere), the Second was finished in 1933. “Hearing either of the violin concertos by Karol Szymanowski is always a treat, so getting both of them together in one concert feels like a special occasion. For its season-opening concert at the Festival Hall, the London Philharmonic put these magical works at the heart of its programme and found a soloist up to the challenge of playing both side by side. Since that soloist was Nicola Benedetti, the hall was packed – a good way of winning new admirers for the still sometimes elusive music of Poland’s greatest early 20th-century composer. “Benedetti has made the Violin Concerto No. 1 a calling-card ever since she won the 2004 BBC Young Musician of the Year playing it. The work also featured on her debut album. “This riveting performance of Shostakovich’s First Violin Concerto (released on July 1) is Nicola Benedetti’s best recording to date. The work is a colossal emotional challenge, as well as being technically fiendish. Written in the late 1940s during one of the Soviet Union’s perennial purges on music deemed too progressive or insufficiently optimistic, it was wisely suppressed by the composer until after Stalin’s death in 1953. “The eerie Nocturne, the frenetic “ride to the abyss” nature of the second and fourth movements, and most of all the central Passacaglia, freighted with references to Beethoven’s Fifth and Shostakovich’s Leningrad Symphony; all this suggests a tormented man unflinchingly reflecting horrors that could not be named in words. “Well accompanied by the Bournemouth Symphony Orchestra under Kirill Karabits, Benedetti captures all this with a stunning array of timbres — hoarse and whispery at first, as savage as a slashing razor in the scherzo, and vividly expressive in the massively demanding cadenza (after which the first performer, David Oistrakh, insisted that Shostakovich insert 16 bars of orchestral music to allow him to recover before the blistering finale). There’s a tiny bow tremor towards the end of the passacaglia that a bit of patching could have eliminated; otherwise this is an interpretation worthy to stand alongside Oistrakh’s classic recordings.